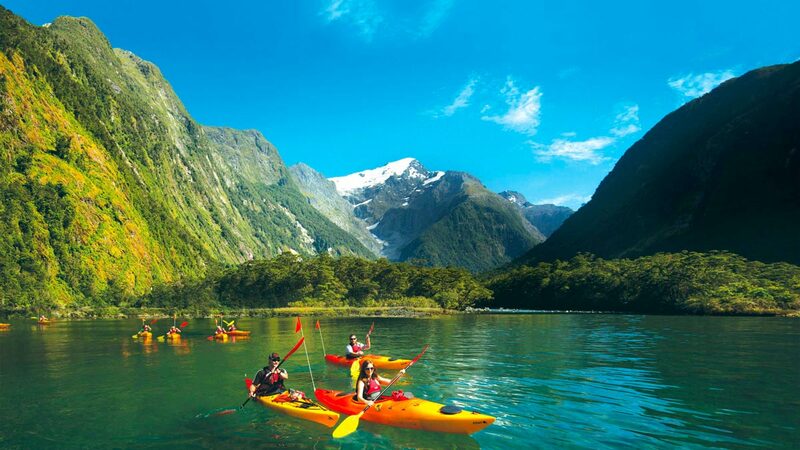 New Zealand is an excellent place to kayak for all ages. 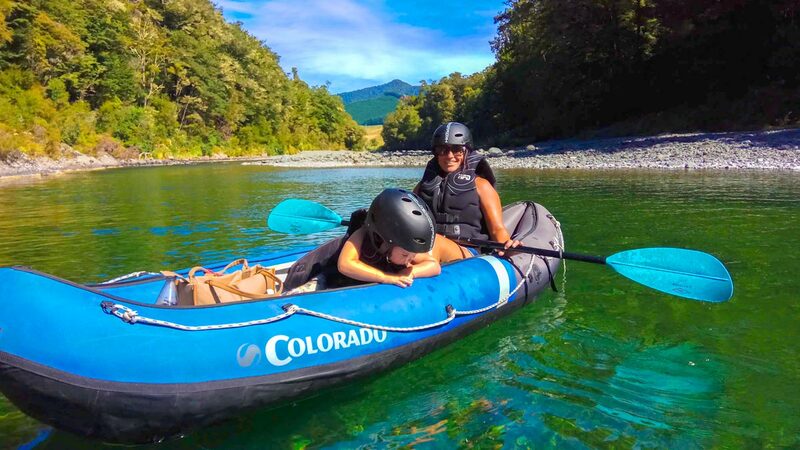 If you’re travelling in New Zealand with children, no matter what age they are, from infants to adults, here are our picks for the best kayaking places you could choose. As well as awesome natural beauty and good paddling routes, we’ve taken into account how accessible these New Zealand kayaking adventures are for families with young children, as well as what facilities you’ll find nearby to cater for your family. 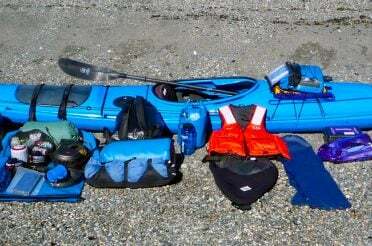 Which kayaking aventure would best suit my family with children under 16 in New Zealand? Abel Tasman National Park may be New Zealand’s smallest National Park by area, but it’s arguably one of the most impressive. Long beaches of golden sand, tranquil bays of crystal-clear water, staggering rock formations and granite cliffs manicured by nature into other-worldly shapes. 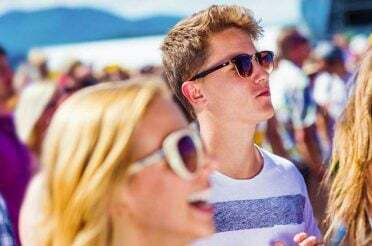 As an added bonus, it also happens to have reliably gorgeous weather year-round – Nelson and Blenheim, both a short drive eastward, regularly battle for the annual mantle of sunniest city in New Zealand. It comes as no surprise that this is one of the most popular adventure places in New Zealand for kayaking, and it’s especially well suited to families with children because of its range of options. For families travelling in New Zealand with children under 16, we recommend using Kaiteriteri Kayaks. 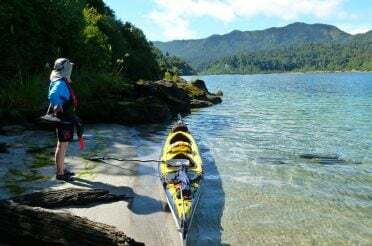 They’ve been running sea kayaking tours in the Abel Tasman National Park for two decades and they have designated Family Packages with discounted rates for those with children between 8-15. Kaiteriteri Kayaks operates short tours around Kaiteriteri Beach, the most sheltered region of Abel Tasman National Park. You don’t need prior experience, and you can keep a close eye on the young ones with double kayaks to share between one adult and one child. 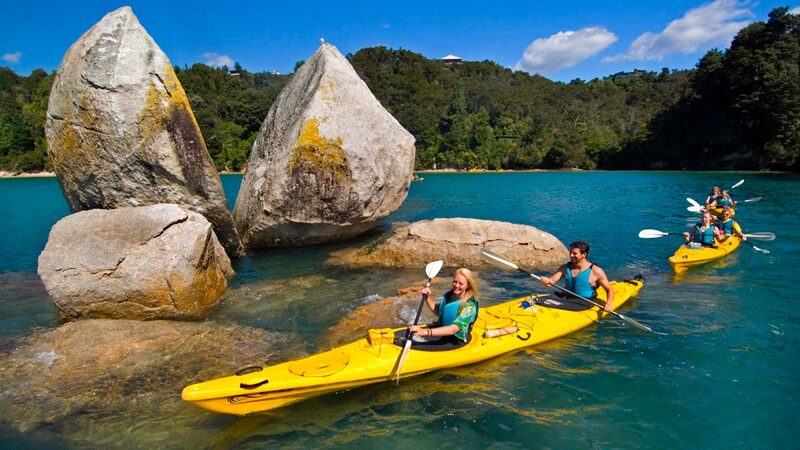 Kaiteriteri Kayaks’ half- and full-day kayaking packages will take you into gorgeous coves and bays and right up close to the most famous rock formation in Abel Tasman National Park, and most photographed thing in the area, the striking Split Apple Rock. 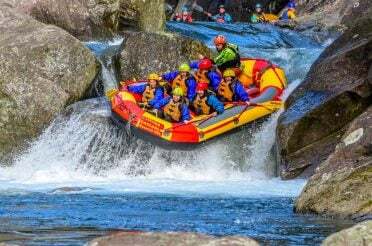 Which kayaking adventure would best suit my family with children over 4 in New Zealand? 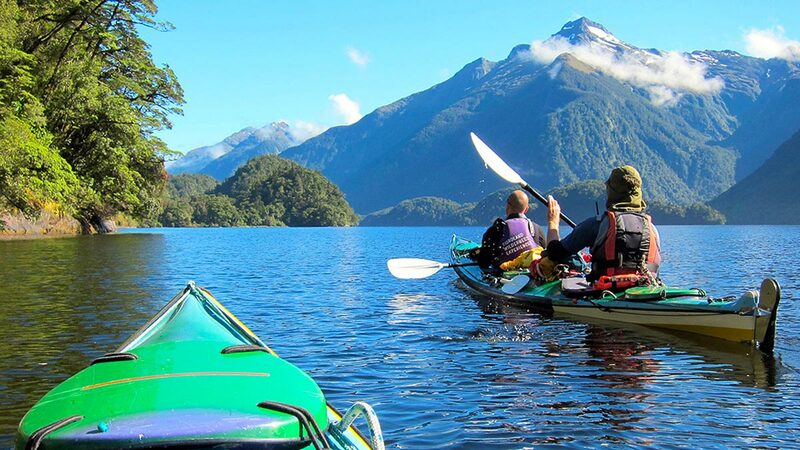 Don’t miss the chance to kayak New Zealand’s most beautiful river. Flowing from the Richmond Range into Pelorus Sound, the largest of the stunning Marlborough Sounds, the Pelorus river is a majestic series of bulbous limestone rocks, craggy gorges, deep green-blue swimming holes and lush native New Zealand forest. You can see why The Lord of the Rings and The Hobbit director Sir Peter Jackson chose a stretch of river around the Pelorus Bridge as the filming location for the memorable dwarfs’ barrel-escape scene in The Hobbit: The Desolation of Smaug. As well as great swimming and camping, the Pelorus river is a dream adventure location for kayakers of all ability levels and ages. Pelorus Eco Adventures, based in Havelock, run a renowned Hobbit Kayak Tour that lets you drift leisurely along the route taken more dramatically by Bilbo’s friends in The Hobbit: The Desolation of Smaug. Best of all, no prior experience is needed, you’re with expert guides who know the river backwards, and kids aged 4 and above are able to take part. 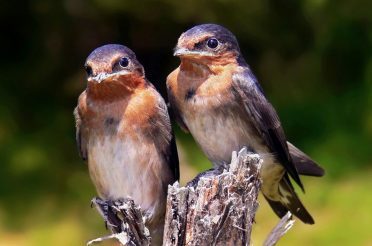 Pelorus Eco Adventures kit you out – both young and old – with all the safety gear you need, so you can relax as you drift down this stunning stretch of water, learning with your family about New Zealand’s flora and fauna from the local guides as you go. Which kayaking adventure would best suit my family with children under 4 in New Zealand? Milford Sound is the highlight of an adventure trip to New Zealand for many a visitor. 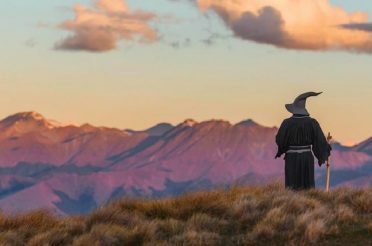 Here you can see the best of Fiordland National Park’s jaw-dropping scenery, including iconic Mitre Peak. On a clear day, thick green forests and sheer volcanic slopes drop dramatically from crisp blue sky into eerily still water, while when it’s raining the magnificent waterfalls dotted throughout Fiordland come to life. Milford Sound caters well for tourists and visitors with families, and you’re never too far from all the amenities you could need on a trip to one of New Zealand’s best natural wonders. It’s hard to plan a kayaking tour when you have toddlers, we know. 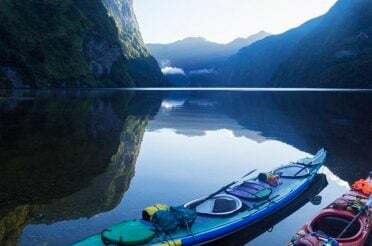 The reason why Milford Sound is on the list here as the best place for a kayaking trip for a family with children under 4, is because grown-ups dying to enjoy Milford Sound’s amazing kayaking opportunities don’t have to ditch the kids to do so. Southern Discoveries, the longest operating tour company in the area, offer a great Cruise and Kayak day trip that combines a cruise around Milford Sounds’ most spectacular scenic sights, entry to the Milford Discovery Centre & Underworld Observatory to learn about and observe the area’s unique sealife (always a winner with young kids!) and 1 hour of gentle kayaking around Harrison Cove. The kayaking is only for the adults here (4 years minimum age), but you kayak right beside the boat - we recommend parents take turns between looking after the little ones on deck and having a paddle, it's close enough to wave almost the whole time so you're never really apart. Which kayaking adventure would best suit my family with adult children in new Zealand? If you were getting worried that North Island kayaking destinations were going to be left off this list, you can rest easy. 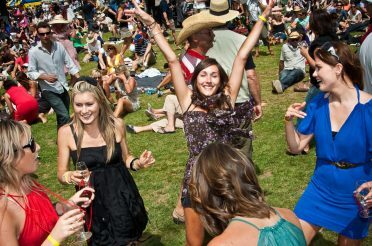 In fact, we’re finishing with a bang for families with adult children, because the kayaking, accommodation and entertainment options around Lake Taupo cover enough fantastic stuff to suit a grown-up family trip perfectly. Lake Taupo is by far New Zealand’s biggest lake, and the lake and area around it has more natural, adventure and cultural attractions than you could shake a stick at. From bungee jumping and parachuting to fishing and waterskiing; volcanic features, geothermal pools, the staggering Huka Falls and Aratiatia Rapids, nightlife spots and a full-range of sleeping options from budget hostels to boutique B&Bs, Taupo is an ideal spot to base yourself on a kayaking trip for families with adult children. In terms of kayaking adventures, again you’re spoilt for choice. Our tip would be go to see Canoe & Kayak Taupo Tours in Taupo (the town, not the lake). 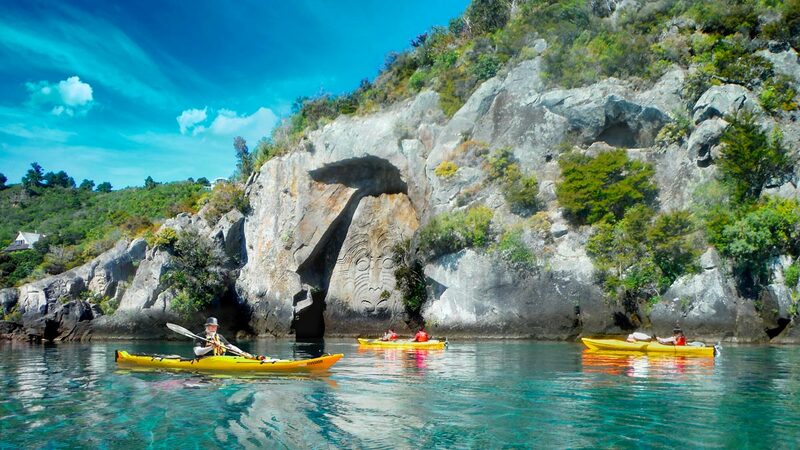 They offer a gentle, 4-hour guided kayak tour to see up close Lake Taupo’s iconic Maori rock carvings (accessible only from the water) and learn about Maori myths and legends behind them. For something a little more heart-racing than educational, Canoe & Kayak Taupo Tours can give you an awesome 2-hour tour through the carved pumice gorges of the mighty Waikato River, and don't forget to ask about a bathe in thermal hot pools along the way!